iPhone 5 is available in China, yes you heard it correct, but not the original one. It seems that entire world is waiting for the launch of Apple iPhone 5 Smartphone but not Chinese people. 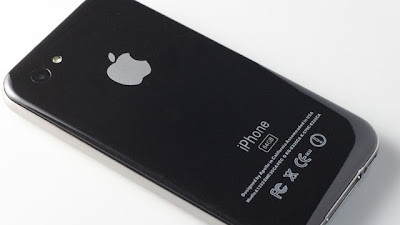 The website called GizChina.com has revealed some of the photos of iPhone 5 Smartphone on its website but the website claims that it’s not the original iPhone 5 made by Apple but it’s a Chinese made Clone of iPhone 5. The website more said that the product is being made from a factory based in Shenzhen, China which is where the real iPhone is also being made. So if you don’t want to wait for the release of original iPhone 5 than you can get iPhone 5 clone in China. It seems that Chinese are always in hurry and they always made products clones even before the real electronic devices are released thanks in part to workers at the real plants who sneak out blueprints or prototypes to the knock off factories. The design of this clone is supposed to be 7 mm thick. That would track with some Internet reports that the iPhone 5 will have a thinner case than the current iPhone 4, but it does show that there is a ton of interest in Apple's next major product release. As we reported earlier about the delayed of iPhone 5 release date window of June or July in part because of supply part issues caused by the March Japanese earthquake. Depending on what Internet rumor you believe the next version of the iPhone will be released here in the US in September or October.